6x Savvies® SU75 Screen Protector for Vodafone Smart X9. Savvies UltraClear Screen Protector for Vodafone Smart X9: Crystal-Clear, easy application, excellent price quality ratio. The Savvies® SU75 UltraClear screen protectors are manufactured in Germany with the latest high-precision laser machinery. 6x Savvies® SU75 Screen Protector for Fitbit Versa. Savvies UltraClear Screen Protector for Fitbit Versa: Crystal-Clear, easy application, excellent price quality ratio. The Savvies® SU75 UltraClear screen protectors are manufactured in Germany with the latest high-precision laser machinery. 6x Savvies® SU75 Screen Protector for Huawei Mate 10 Lite. Savvies UltraClear Screen Protector for Huawei Mate 10 Lite: Crystal-Clear, easy application, excellent price quality ratio. The Savvies® SU75 UltraClear screen protectors are manufactured in Germany with the latest high-precision laser machinery. 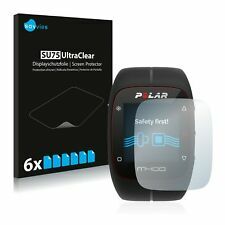 6x Savvies® SU75 Screen Protector for Polar M400. Savvies UltraClear Screen Protector for Polar M400: Crystal-Clear, easy application, excellent price quality ratio. The Savvies® SU75 UltraClear screen protectors are manufactured in Germany with the latest high-precision laser machinery. 6x Savvies® SU75 Screen Protector for Garmin Vivoactive 3. Savvies UltraClear Screen Protector for Garmin Vivoactive 3: Crystal-Clear, easy application, excellent price quality ratio. 6x Savvies® SU75 Screen Protector for Garmin Vivoactive 3 (6x Display). 6x Savvies® SU75 Screen Protector for Samsung Galaxy A50. Savvies UltraClear Screen Protector for Samsung Galaxy A50: Crystal-Clear, easy application, excellent price quality ratio. The Savvies® SU75 UltraClear screen protectors are manufactured in Germany with the latest high-precision laser machinery. 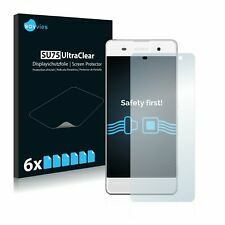 6x Savvies® SU75 Screen Protector for Xiaomi Mi A2 Lite. Savvies UltraClear Screen Protector for Xiaomi Mi A2 Lite: Crystal-Clear, easy application, excellent price quality ratio. The Savvies® SU75 UltraClear screen protectors are manufactured in Germany with the latest high-precision laser machinery. 6x Savvies® SU75 Screen Protector for Huami Amazfit Stratos 2. Savvies UltraClear Screen Protector for Huami Amazfit Stratos 2: Crystal-Clear, easy application, excellent price quality ratio. 6x Savvies® SU75 Screen Protector for Huami Amazfit Stratos 2 (6x Display). 6x Savvies® SU75 Screen Protector for Huawei Honor Band 4. Savvies UltraClear Screen Protector for Huawei Honor Band 4: Crystal-Clear, easy application, excellent price quality ratio. The Savvies® SU75 UltraClear screen protectors are manufactured in Germany with the latest high-precision laser machinery. 6x Savvies® SU75 Screen Protector for Garmin Forerunner 735XT. Savvies UltraClear Screen Protector for Garmin Forerunner 735XT: Crystal-Clear, easy application, excellent price quality ratio. 6x Savvies® SU75 Screen Protector for Garmin Forerunner 735XT (6x Display). 6x Savvies® SU75 Screen Protector for Xiaomi Mi A1. Savvies UltraClear Screen Protector for Xiaomi Mi A1: Crystal-Clear, easy application, excellent price quality ratio. The Savvies® SU75 UltraClear screen protectors are manufactured in Germany with the latest high-precision laser machinery. 6x Savvies® SU75 Screen Protector for Samsung Galaxy Watch (46 mm). Savvies UltraClear Screen Protector for Samsung Galaxy Watch (46 mm): Crystal-Clear, easy application, excellent price quality ratio. 6x Savvies® SU75 Screen Protector for Garmin fenix 3 HR. Savvies UltraClear Screen Protector for Garmin fenix 3 HR: Crystal-Clear, easy application, excellent price quality ratio. The Savvies® SU75 UltraClear screen protectors are manufactured in Germany with the latest high-precision laser machinery. 6x Savvies® SU75 Screen Protector for Huami Amazfit Bip. Savvies UltraClear Screen Protector for Huami Amazfit Bip: Crystal-Clear, easy application, excellent price quality ratio. 6x Savvies® SU75 Screen Protector for Huami Amazfit Bip (6x Display). 6x Savvies® SU75 Screen Protector for Apple iPhone 7 (Front Back). Savvies UltraClear Screen Protector for Apple iPhone 7 (Front Back): Crystal-Clear, easy application, excellent price quality ratio. 6x Savvies® SU75 Screen Protector for Samsung Gear Sport. Savvies UltraClear Screen Protector for Samsung Gear Sport: Crystal-Clear, easy application, excellent price quality ratio. The Savvies® SU75 UltraClear screen protectors are manufactured in Germany with the latest high-precision laser machinery. 6x Savvies® SU75 Screen Protector for Garmin Forerunner 35. Savvies UltraClear Screen Protector for Garmin Forerunner 35: Crystal-Clear, easy application, excellent price quality ratio. The Savvies® SU75 UltraClear screen protectors are manufactured in Germany with the latest high-precision laser machinery. 6x Savvies® SU75 Screen Protector for Suunto Traverse. Savvies UltraClear Screen Protector for Suunto Traverse: Crystal-Clear, easy application, excellent price quality ratio. The Savvies® SU75 UltraClear screen protectors are manufactured in Germany with the latest high-precision laser machinery. 6x Savvies® SU75 Screen Protector for Fitbit Inspire HR. Savvies UltraClear Screen Protector for Fitbit Inspire HR: Crystal-Clear, easy application, excellent price quality ratio. The Savvies® SU75 UltraClear screen protectors are manufactured in Germany with the latest high-precision laser machinery. 6x Savvies® SU75 Screen Protector for Garmin Vivoactive 3 Music. Savvies UltraClear Screen Protector for Garmin Vivoactive 3 Music: Crystal-Clear, easy application, excellent price quality ratio. 6x Savvies® SU75 Screen Protector for Garmin Vivoactive 3 Music (6x Display). 6x Savvies® SU75 Screen Protector for Samsung Galaxy A50 (Cam on the back). Savvies UltraClear Screen Protector for Samsung Galaxy A50 (Cam on the back): Crystal-Clear, easy application, excellent price quality ratio. 6x Savvies® SU75 Screen Protector for Samsung Galaxy S9. Savvies UltraClear Screen Protector for Samsung Galaxy S9: Crystal-Clear, easy application, excellent price quality ratio. The Savvies® SU75 UltraClear screen protectors are manufactured in Germany with the latest high-precision laser machinery. 6x Savvies® SU75 Screen Protector for Unihertz Jelly Pro. Savvies UltraClear Screen Protector for Unihertz Jelly Pro: Crystal-Clear, easy application, excellent price quality ratio. 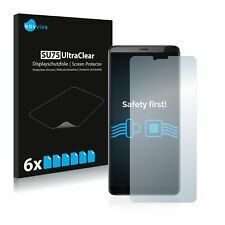 6x Savvies® SU75 Screen Protector for Unihertz Jelly Pro (6x Front). 6x Savvies® SU75 Screen Protector for Samsung Galaxy A5 2017. Savvies UltraClear Screen Protector for Samsung Galaxy A5 2017: Crystal-Clear, easy application, excellent price quality ratio. The Savvies® SU75 UltraClear screen protectors are manufactured in Germany with the latest high-precision laser machinery. 6x Savvies® SU75 Screen Protector for Huawei Watch GT. Savvies UltraClear Screen Protector for Huawei Watch GT: Crystal-Clear, easy application, excellent price quality ratio. The Savvies® SU75 UltraClear screen protectors are manufactured in Germany with the latest high-precision laser machinery. 6x Savvies® SU75 Screen Protector for Nokia 130. Savvies UltraClear Screen Protector for Nokia 130: Crystal-Clear, easy application, excellent price quality ratio. The Savvies® SU75 UltraClear screen protectors are manufactured in Germany with the latest high-precision laser machinery. 6x Savvies® SU75 Screen Protector for Fitbit Inspire. Savvies UltraClear Screen Protector for Fitbit Inspire: Crystal-Clear, easy application, excellent price quality ratio. The Savvies® SU75 UltraClear screen protectors are manufactured in Germany with the latest high-precision laser machinery. 6x Savvies® SU75 Screen Protector for Huawei P10 Lite. Savvies UltraClear Screen Protector for Huawei P10 Lite: Crystal-Clear, easy application, excellent price quality ratio. The Savvies® SU75 UltraClear screen protectors are manufactured in Germany with the latest high-precision laser machinery. 6x Savvies® SU75 Screen Protector for Doogee Y8. Savvies UltraClear Screen Protector for Doogee Y8: Crystal-Clear, easy application, excellent price quality ratio. 6x Savvies® SU75 Screen Protector for Doogee Y8 (6x Front). 6x Savvies® SU75 Screen Protector for Nokia 301. Savvies UltraClear Screen Protector for Nokia 301: Crystal-Clear, easy application, excellent price quality ratio. The Savvies® SU75 UltraClear screen protectors are manufactured in Germany with the latest high-precision laser machinery. 6x Savvies® SU75 Screen Protector for Honor Watch Magic. Savvies UltraClear Screen Protector for Honor Watch Magic: Crystal-Clear, easy application, excellent price quality ratio. The Savvies® SU75 UltraClear screen protectors are manufactured in Germany with the latest high-precision laser machinery. 6x Savvies® SU75 Screen Protector for Huami Amazfit Verge. Savvies UltraClear Screen Protector for Huami Amazfit Verge: Crystal-Clear, easy application, excellent price quality ratio. 6x Savvies® SU75 Screen Protector for Huami Amazfit Verge (6x Display). 6x Savvies® SU75 Screen Protector for Garmin Vivomove HR. Savvies UltraClear Screen Protector for Garmin Vivomove HR: Crystal-Clear, easy application, excellent price quality ratio. 6x Savvies® SU75 Screen Protector for Garmin Vivomove HR (6x Display). 6x Savvies® SU75 Screen Protector for Huawei P20. Savvies UltraClear Screen Protector for Huawei P20: Crystal-Clear, easy application, excellent price quality ratio. The Savvies® SU75 UltraClear screen protectors are manufactured in Germany with the latest high-precision laser machinery. 6x Savvies® SU75 Screen Protector for Nokia 216. Savvies UltraClear Screen Protector for Nokia 216: Crystal-Clear, easy application, excellent price quality ratio. The Savvies® SU75 UltraClear screen protectors are manufactured in Germany with the latest high-precision laser machinery. 6x Savvies® SU75 Screen Protector for BlackBerry Key2. Savvies UltraClear Screen Protector for BlackBerry Key2: Crystal-Clear, easy application, excellent price quality ratio. The Savvies® SU75 UltraClear screen protectors are manufactured in Germany with the latest high-precision laser machinery. 6x Savvies® SU75 Screen Protector for Samsung Galaxy J3 2017. Savvies UltraClear Screen Protector for Samsung Galaxy J3 2017: Crystal-Clear, easy application, excellent price quality ratio. The Savvies® SU75 UltraClear screen protectors are manufactured in Germany with the latest high-precision laser machinery. 6x Savvies® SU75 Screen Protector for Caterpillar Cat S41. Savvies UltraClear Screen Protector for Caterpillar Cat S41: Crystal-Clear, easy application, excellent price quality ratio. The Savvies® SU75 UltraClear screen protectors are manufactured in Germany with the latest high-precision laser machinery. 6x Savvies® SU75 Screen Protector for Huawei Band A2. Savvies UltraClear Screen Protector for Huawei Band A2: Crystal-Clear, easy application, excellent price quality ratio. The Savvies® SU75 UltraClear screen protectors are manufactured in Germany with the latest high-precision laser machinery. 6x Savvies® SU75 Protector de Pantalla para Sony Xperia XA. Savvies UltraClear Protector Pantalla para Sony Xperia XA: Alta transparencia, protección contra arañazos, fáciles de montar. Los protectores de pantalla Savvies® SU75 UltraClear son los protectores transparentes y anti-arañazos adecuados para su Sony Xperia XA. 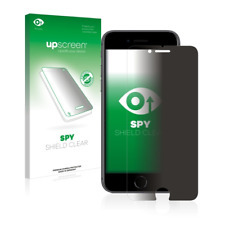 Savvies® HD33 Privacy Glasfolie für Apple iPhone 6. 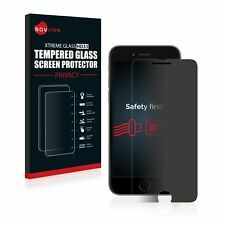 Savvies® HD33 Privacy Glasfolie für Apple iPhone 6 (1x Vorderseite), Alkohol-Reinigungstuch, Microfasertuch, Klebestreifen zur Staubentfernung, Anbringungsanleitung. 6x Savvies® SU75 Displayschutzfolie für Sony Xperia XA. Was unterscheidet Savvies® SU75 von anderen Displayschutzfolien?. Die Savvies UltraClear Displayschutzfolie ist bestens als zuverlässiger und unsichtbarer Schutz für dein Sony Xperia XA geeignet. Blickschutzfolie und 6 Savvies. Ultra Clear Displayschutzfolie. die Folien sind aber unbenutzt. Folie Vorderseite. Folie Rückseite. Zuverlässiger Schutz. für Apple IPhone 8 ( Rückseite ). 2x Savvies Protector Cristal Templado Polar M400 / M430 Protector Pantalla Vidrio - Dureza 9H. Savvies® HD33 Protector de pantalla de cristal templado para Polar M400 con superficie extra dura que repele la suciedad y proporciona la máxima protección contra arañazos y el desgaste diario.Bordes redondeados, un tacto comfortable y una superior transparencia para garantizar la facilidad de uso, la luminosidad de la pantalla y la sensibilidad táctil del Polar M400.Dureza extrema.